Amplify your marketing messages with cost-effective and extremely useful leave-behinds! 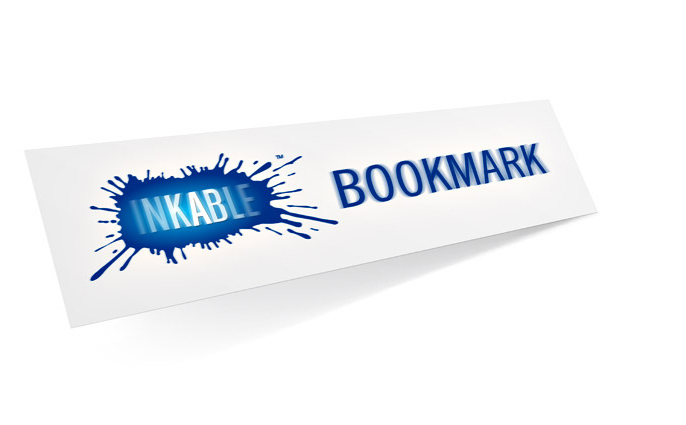 Inkable’s Paper Bookmarks are printed on high quality and durable card stock. Stunning colours position these items as substantial and valuable, increasing brand recall, performing well for any custom project, business purpose, or promotional event. These are great kinetic promotional materials, perfect for useful COUPONS FOR EVENTS, SAVE-THE-DATE NOTICES, BRANDED PRODUCT LAUNCH SOUVENIERS, TIMETABLES FOR MARKETING MEETINGS, HOLIDAYS, CHARITIES, FUNDRAISERS, or as a THANK YOU GIFT to cap off your goodie bag to liven up your event! We offer a variety of Paper Bookmark options suitable for every small business need. 160 x 40mm with square edges or die cut rounded corners. CUSTOM SIZES AND CUSTOM SHAPES: These are not available through our online system. For specific die cuts, perforations, hole punching, and unusual sizes, please use our Custom Order Form. Printed Paper Bookmarks are excellent out-of-home promotional items. Inexpensive and highly functional, they will most certainly be used from time to time because of their basic applications in the home or office, reminding prospects about your brand and highlighting your contact details and small business offerings and services while in use. WHAT TO INCLUDE. While these are promotional items, Paper Bookmarks are always seen in a positive place because of the functionality they bring to any occasion. Remember to maximise the repeated exposure of your brand by ensuring all the important details are included on your printed bookmarks and that these are strategically placed so that your prospective customers will remember you every time they use it. While unique fonts are great, don’t give the users of your bookmarks a hard time. Pick something that is legible so all texts can easily be read. Make sure the design of your bookmarks follow the design of your branded marketing materials as closely as possible to aid in brand recall.